A few months ago, I got a voucher from a friend for a Hammam treatment at a spa in London. This was something new to me, hadn’t heard of it but was willing to try it out. I did try it out and thought it was absolutely fabulous and have had it again recently – treatment I think everyone to try out! week. When I went in, I didn’t quite know what to expect (didn’t research it because I wanted to get the full experience and be surprised). You are asked to bring your swimwear with you but in the real Moroccan way, you will be sporting your birthday suit for the experience! The whole experience lasted 90 minutes which I thought was well worth it. First up, you’re taken into a steam room to sit for 15 minutes. This opens up your pores ready for the cleansing treatment. You are then taken into another room and asked to lie on a heated marble bed where you’re covered with olive oil soap. Then comes the shocking part – you are scrubbed down with gloves or mits which feel like they are made out of cats’ claws. The aim is to remove or scrub off dead skin cells. You are then dowsed with warm water followed by the good bit – a full body massage. After the massage, you are covered completely with a body mask made from natural Moroccan clay for about 15 to 20 minutes and then shower to finish. 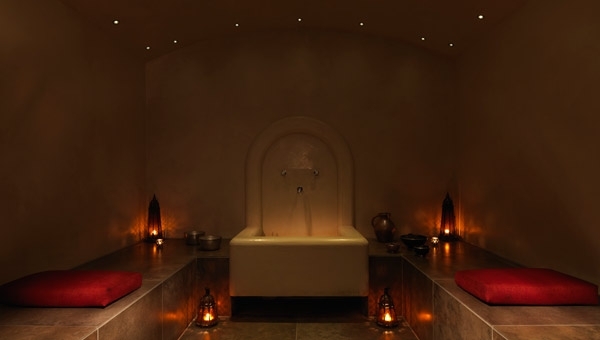 The Hammam varies in different spas and depending on which spa, lasts between an hour to two hours. The first one I had lasted an hour and half, and the second time I had it at a different spa location, it lasted an hour. Both experiences were slightly different but overall I felt totally relaxed, grounded and at peace. My skin looked and felt great, also forgot about the scrubbing part by the time the whole treatment was done. I can definitely say I experienced all three benefits above but then again, we’re all individuals and very different. New Tea On The Block - Moringa Tea!